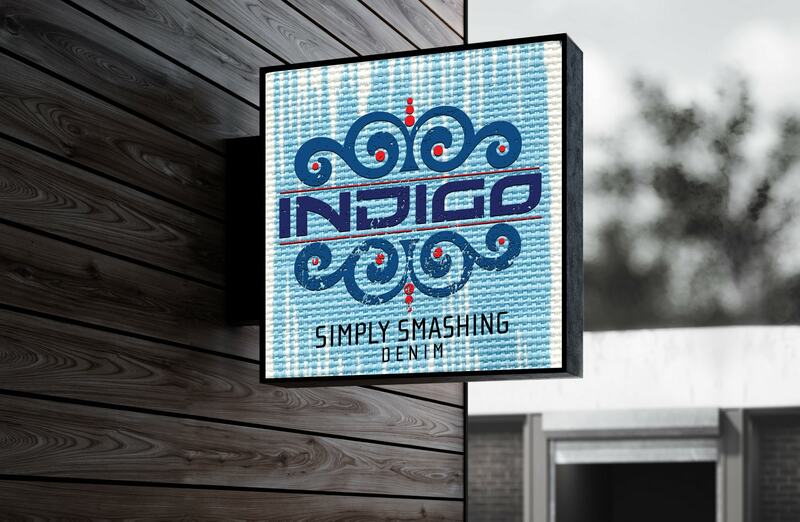 Indigo a high-end denim line, takes its’ inspiration from the company’s owner. Originally from London, the designer spent much of his time as a young man in Chelsea living the grand bohemian lifestyle. 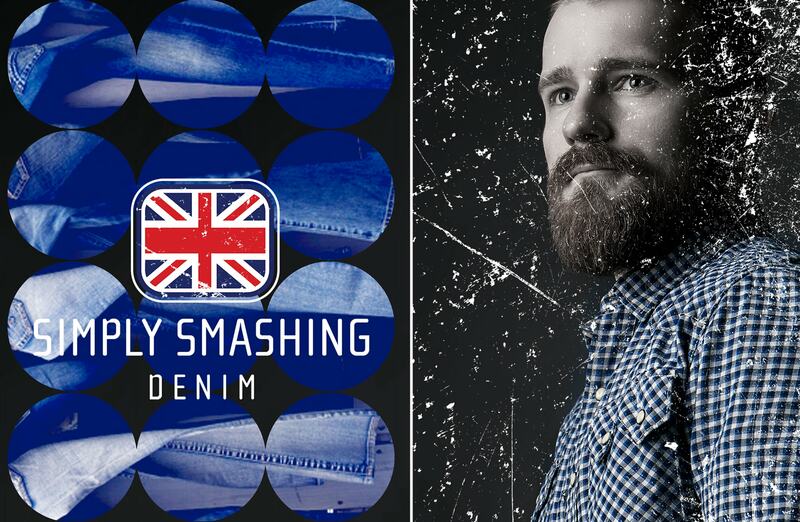 He wanted to bring the feeling of Carnaby Street to the brand, a kind of modern day peacock alley. 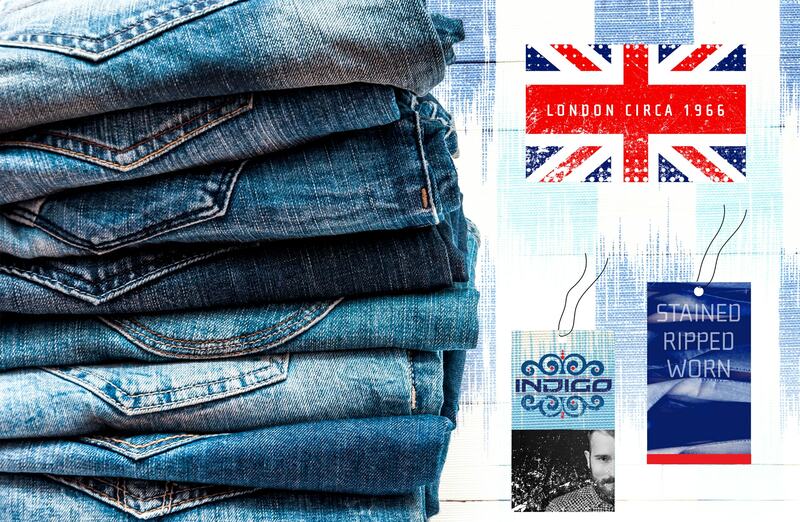 The branding incorporates bold graphic Union Jack iconography as well as curvilinear forms representing the dapper, dressier side of denim, an antithesis to the ripped, dyed and well-worn look of the majority of the company’s product line.